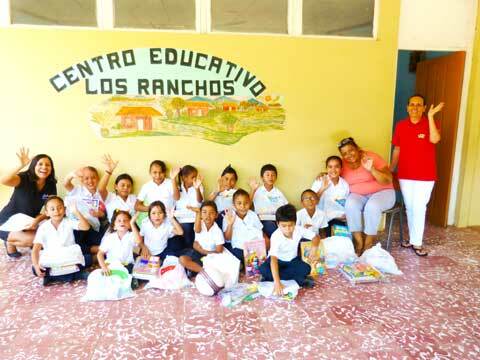 We are happy to share that on May 17, 2013, a representative from Hotel Capitán Suizo in Costa Rica went to Los Ranchos Elementary School to deliver the school supplies donated by pack for a purpose travelers, as well as some textbooks that the hotel had bought for them. Amazingly, there were so many donations that Hotel Capitán Suizo was able to take supplies to a neighboring school in need, San Francisco Elementary School. We are very grateful for all the supplies donated by pack for a purpose travelers and hope to hear of more donations in the future.